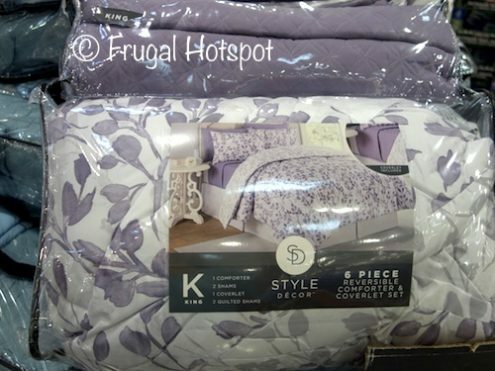 The comforter is patterned on one side and plain on the other. 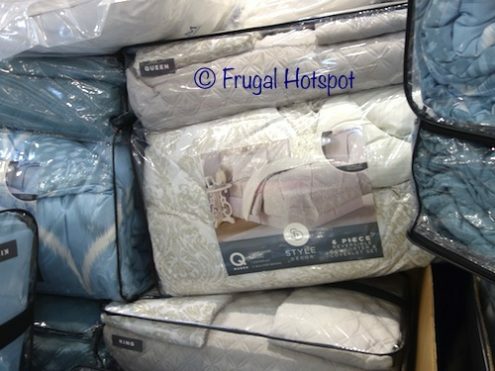 Costco has the Style Decor Microfiber Comforter 6-Piece Set on sale from January 7, 2019 through January 15, 2019. While supplies last. Price and participation may vary by location. Color selection may vary by location. 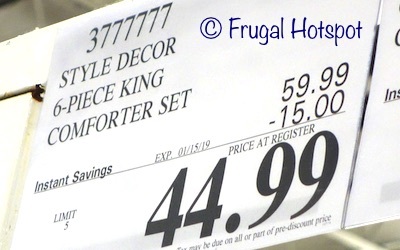 The King size set is on sale for $44.99 (after instant savings). That is $15 off Costco’s regular price of $59.99. Item #3777777. 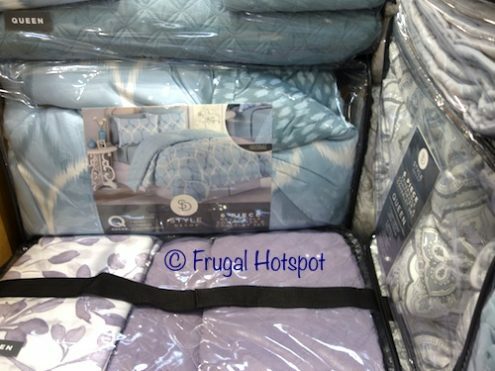 The Queen size set is on sale for $39.99 (after instant savings). That is $10 off Costco’s regular price of $49.99. Item #3555555. These products were spotted at the Covington, WA location. Price and participation may vary so it may not be available at your local Costco or it may not be on sale at your local Costco or it may be a different price at your local Costco. Prices & sales dates may change at any time without notice. Photos may not be a perfect representation of the product.